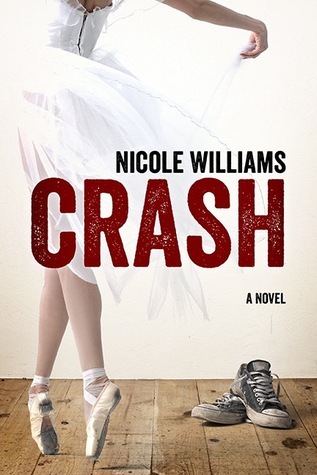 At the moment I'm reading Touch by Jus Accardo as a paperback and Crash by Nicole Williams as an eBook. "You left. I didn't know where you'd gone." He stepped past Alex, stopping only when his shoulder brushed mine. "I left when I heard your father get up." From the corner of my eye, I could see Alex watching us, eyes narrow. "What is he talking about?" Kale, apparently feeling helpful, answered for me. "I stayed with Dez last night. We took off our shirts." I didn't have to see my face to know it turned a bright shade of red. Kale and I were going to discuss the appropriate level of sharing. Soon. Jude Ryder wasn't only trouble, he was trouble with a side of danger and a dessert of heartache. I didn't talk the lingo of stereotypes, but I knew the path Jude was on and the one I was on would never intersect unless of of us forfeited our individual one to join the other. I'd worked too hard for too long to allow mine to dead end. Oooh! I love that first teaser. I'm interested to see how that ends. Two intriguing teasers (and enticing book covers!) Both of them hint at serious conflict. My Teaser is from SLIGHTLY CRACKED. Touch was such a great book. I haven't read Crash yet, but I have and can't wait to read it. Great teasers!